How Long Do I Have to Bring an Insurance Claim If I’m Injured by an “Uninsured” Motorist? 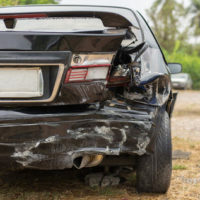 If you are injured in a car accident and unable to collect damages from the negligent driver, your own insurance company may be liable for your physical injuries and property damage. Tennessee law requires all auto insurers to include “uninsured motorist” (UM) coverage as part of their standard policies. Typically you serve a personal injury claim against your UM carrier the same way you would the negligent driver. Tennessee has a strict, one-year statute of limitations when it comes to personal injury lawsuits. This means if you do sue the negligent driver within one year of the car accident, your case cannot be heard in court. But does this one-year limit also apply to a claim served on your UM carrier? The Tennessee Court of Appeals recently addressed this question. This case arose from a car accident that took place in May 2011. In April 2012, a couple weeks before the one-year statute of limitations expired, the plaintiff filed a personal injury lawsuit against the allegedly negligent driver. The lawsuit was never served, however, because the process server failed to locate the defendant. In July 2013, more than two years after the accident, the plaintiff filed an amended lawsuit, this time serving both the driver and the plaintiff’s own UM carrier. Before the General Sessions Court, the insurer moved for summary judgment, arguing the plaintiff’s UM claim was barred since it was filed outside the one-year limitations period for personal injury claims. The judge denied the insurer’s motion and awarded the plaintiff $9,000 in damages. On appeal, however, the Circuit Court for Shelby County ruled in favor of the insurer. The Circuit Court agreed with the insurer that the plaintiff’s UM claim was a “personal injury” lawsuit under Tennessee law. But the Court of Appeals said that was an incorrect reading of the law. The plaintiff’s claim against his insurer did not arise from the accident itself, but rather the insurance policy, which is a contract. And in Tennessee, a person has six years–not one year–to bring a breach of contract claim. Indeed, the Court of Appeals noted it “had previously rejected similar arguments from insurers that the uninsured motorist statute requires service on an uninsured motorist carrier within one year.” In those prior cases, the Court said the law only required an accident victim to sue the uninsured motorist within the one-year time limit. But the lawsuit does not have to be served on the UM carrier within that year. Dealing with insurance companies is often a major hassle for car accident victims. Insurers will rely on any legal technicality or excuse to deny coverage. If you are still recovering from your injuries, the last thing you want to do is put up with these shenanigans. An experienced Tennessee personal injury lawyer can help. Contact the offices of Fox & Farley, Attorneys at Law, in Knoxville or Clinton today if you require legal assistance following any kind of motor vehicle accident.